When a retired mobster ends up murdered and one of her grandmother's best friends is the last one to see him alive, Lexy Baker can kiss her plans to spend an uneventful summer dreaming about her upcoming wedding to detective Jack Perillo good-bye. 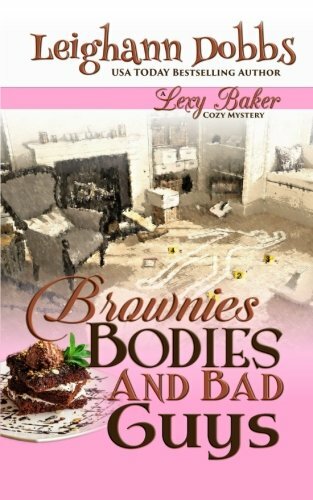 Lexy agrees to help her grandmother's octogenarian Ladies' Detective Club solve the murder. But she doesn't count on sneaking into crime scenes, interviewing kooky relatives, and following thugs around town. But while Lexy is busy juggling her bakery, her grandmother, and the hunky F.B.I. agent sent to investigate the murder, Jack seems to be spending a lot of time with his shapely, blonde ex-girlfriend who suddenly arrives in town. Will Lexy be able to catch the killers and discover the real secret about Jack's ex before it's too late?